Basset girl good with other dogs. used to other pets and car travel looking for new permanent home due to unavoidable live changes with extended periods abroad. 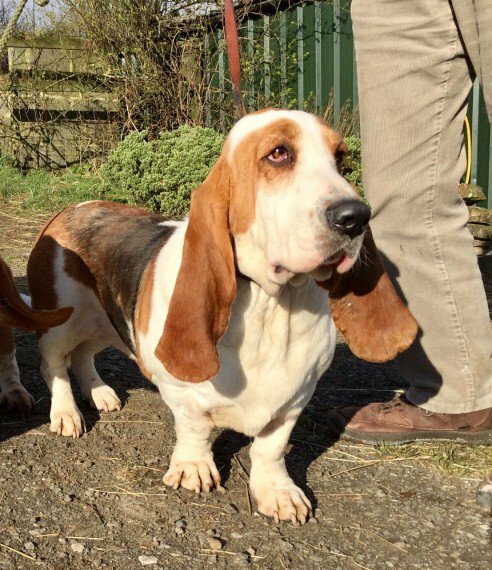 She is a typical opinionated Basset that loves comfort and food and is not overly keen on long walks.